I’m pretty health conscious, so it’s equally disappointing and surprising to find out that there are tons of bogus claims on food labels these days. Can you tell whether a food product is really organic? Or made with whole grains? And what does it mean when chicken is labeled “free range”? Maybe not what you think. Following are 10 misleading food label claims and what they really mean! #1 – All-Natural Foods… Are They Always Healthy? What’s the first thing you think of when you pick up a food package bearing the words “all natural“? Probably not high-fructose corn syrup or sodium-based preservatives. But that’s exactly what you could find in an all-natural food item! So, your all-natural food might be all natural, but it may not necessarily be all that healthy for you. A whole grain is a whole grain is a whole grain. But what does it mean when a food is made with whole grains? What is a whole grain anyway? Don’t get too excited though… It’s likely the wholegrain food you’re buying has more than just wholegrains in it. Many foods that claim wholegrains also contain refined wheat products and other processed ingredients. What’s so bad about refined wheat ingredients? They don’t contain the same number of nutrients as unprocessed wheat. Dietary fiber, B vitamins, iron, and other nutrients are contained in the germ and bran that are removed in the refinement process. You’ll want to check the food labels on any products billed with the phrase “whole grains” to see if they also contain processed wheat ingredients – including refined grains such as white flour, white rice, de-germed cornmeal, or other ingredients. Trans fats can cause heart disease – which can lead to heart attacks. So it was good news some time ago when food manufacturers and even fast food restaurant chains announced they would remove partially hydrogenated vegetable oil, which contains trans fats, from their offerings. Zero means nothing, nada, zilch, right? Not necessarily in the case of trans fats and food. If this doesn’t sound like a big deal, it just might when you consider that consuming 2, 3, or 4 products with that “zero trans fat” label may actually mean you’re still eating 1, maybe even 2 grams of the ingredient known to be dangerous to your heart. #4 – How Much Freedom Do Free Range Chickens Get? Free range chickens… surely strikes up visions of Farmer Johnson letting his dozens of chickens roam around on his cozy, tree-shaded spread in the dell before he takes his artificial hormone-free birdies to market. The United States Department of Agriculture (USDA) defines free-range as meaning poultry that has access to the outdoors, but there are no regulations specifying what that really means. For example, there are no regulations on the size of the outdoor range, or how long the animal needs to have access to the outdoors. In other words, that free-range chicken you bought for dinner may have spent its life in among hundreds, even thousands, of other chickens in a dark, warehouse-style coop that had an open door. What free-range means is up to the farmer or food manufacturer. #5 – Does Fat Free Mean Guilt Free? 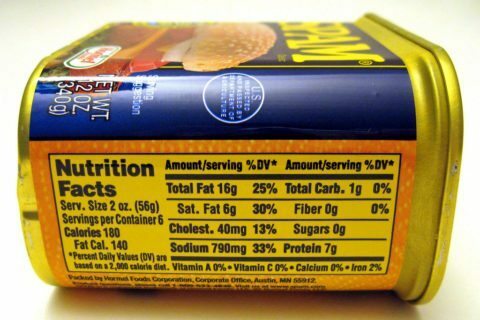 A product that says it contains no fat may be loaded with calories from other ingredients that help the fat-free food taste better. Many fat-free foods are filled with sweeteners that load up each serving with calories and carbs. And watch out for fat substitutes that may contain calories or artificial ingredients, too. In other words, read your food labels carefully – especially when a food package claims its contents are fat free. #6 – What Does “Light” Even Mean? When I think of “light” in reference to food, I conjure up images of healthier food with fewer fatty ingredients. Technically, a food labeled “light” must contain at least 50% less fat than comparable products. But that doesn’t mean it contains fewer calories. Many food manufacturers will similarly take the liberty in using the term “light” to refer to the flavor of food. So, that light salad dressing you recently poured all over your salad might contain just as many calories as the “regular” dressing. Carefully read and compare the label when buying “light” foods to ensure that you’re really sparing those extra fat grams and calories. Did you know foods labeled “cholesterol free” must contain less than 2 mg per serving? That’s not necessarily cholesterol free! Cholesterol is found in animal products, so only food that contain ingredients like eggs, dairy, meat, or other animal contents will have cholesterol. In other words, if you pick up a bag of vegetables at the store that says “cholesterol free,” it’s no big achievement – because foods that don’t contain animal products shouldn’t contain cholesterol in the first place! As you’re probably learning by now while reading this article, most food claims are made on semantics, technicalities, and within the barely-there confines of vague regulations and definitions. Such is the case with the old “made with real fruit” claim. Sure, your kid’s fruit drink may have real fruit in it, but just what percentage of the product does that real fruit constitute? When it comes to the real fruit claim, we consumers need to be careful because there are tons of foods that tout the real fruits in their products and hide disclosures of sugary ingredients in fine print under the food label. The real fruit brouhaha even spilled into the courts in 2012. That’s when a California woman started a class-action lawsuit concerning a popular General Mills snack food called Fruit Roll-Ups – whose packaging claimed to have real fruit, yet actually contained pears from concentrate and had nary a strawberry in its strawberry-flavored snack. Other similar real fruit lawsuits have also been brought to courts across the land. If you think buying sugar-free foods means you can scarf down an entire sleeve of your favorite snacks without paying the price in calories, you’ll want to double check that food label. Sugar-free foods contain less than 0.5 grams of sugars per serving and usually are made with sugar alcohols that have only about half the number of calories per gram as regular sugar. However, those same foods may contain ingredients that will still add calories and carbohydrates in other forms. So take time to compare the food labels of sugar-free foods to those of their “regular” counterparts – sometimes the regular versions actually have fewer calories! #10 – Is Organic Food Really Healthier? There are several regulations keeping the organic food market in check. If a food is packaged as “organic,” then at least 95% of the ingredients must come from sources free of synthetic fertilizers and pesticides. If a food label says it contains organic ingredients, then those ingredients must meet the same criteria. Organic food might really be cleaner and freer of synthetic pesticides, fertilizers, and other artificial chemicals, but that doesn’t necessarily mean they contain fewer calories, are lower in fat, or will do less damage to your waistline than the processed foods many of us have grown accustomed to. As always, double look closely at the labels on the organic foods you buy, so you’ll really know what’s in the food you’re eating. The bottom line is you must read the nutrition label and the ingredients list on the packaging of every food you eat. If you really want to know what you’re eating, you have to look way past the misleading food labels and dig a little deeper. Don’t let the buzzwords and marketing slogans fool you into buying foods that really aren’t that healthy for you (or that fare worse on the nutrition side than other versions of the same food). Your health is one of the most important things, so it’s worth spending a little time researching foods before you buy them. If you’re an informed consumer who knows what you’re buying, what ingredients to look for, and can identify which ones to avoid, you’ll be OK.